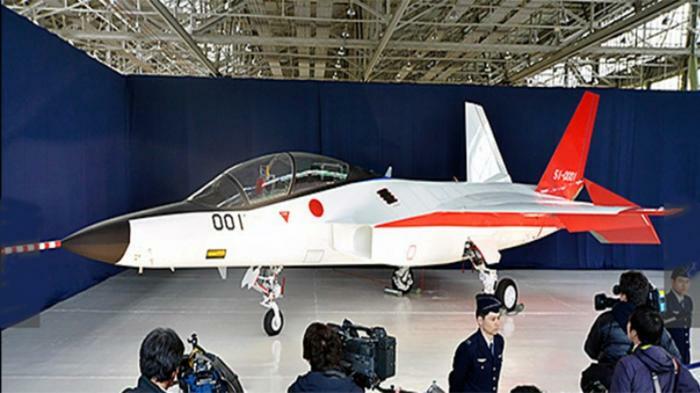 Japanese Defense Agency on Thursday, January 28, 2016 has introduced the new fighter jets, Mitsubishi ATD-X 'X-2', which is equipped with advanced technology as the research results of Mitsubishi Heavy Industries, Ltd. The plan, the fighter jet will conduct its maiden flight on February 15 or February 22, 2016 from Nagoya airport, and landed at the Japanese air force base in Gifu. Mitsubishi Heavy Industries ltd. will be handed over to the Department of Defense, Technology and Logistics of Japan in late March. The X-2 is currently in development by the Japanese government is prepared to replace the F-2 jets who will retire in 2028. This fighter jet can not be detected by radar and is also easily absorbing the radio waves. By using the new composite materials used in the structure of the fuselage, and engine thrust deflection that can change the gas injection orientation very quickly, combined with a flight control computer, making it possible to shows high mobility in the air. The decisions of multi billion yen for the jet development project was taken in 2007. And touted, the ATD-X development triggered by the decision of the US Congress who did not give approval on the Japanese government's intention to buy the F-22 Raptor. The jets construction began on the fiscal year 2009, by Mitsubishi Heavy Industries, together with IHI (Ishikawa Heavy Industries) were responsible for the machine with the development fund about ¥39.4 billion. The X-2 itself developed of the previous generation and further will be developed for Japanese fighter jets in the future. 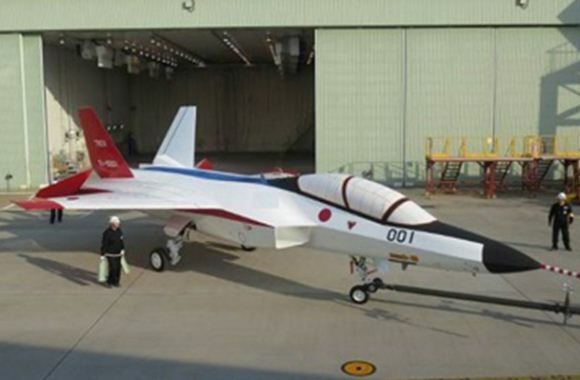 This is the early seedling of Japanese stealth fighter jets development in the future. The development of future fighter jets, with the collection of data from the latest technology by themselves. The Japanese ATD-X is equipped with 3D thrust vectoring. Its thrust (impulse) controlled by three paddles on each engine nozzle similar to the system used by the Rockwell X-31 (US experimental aircraft), while the axis-symmetric thrust vectoring engine is currently still being developed for the production series of ATD-X. The ATD-X prototype currently is much smaller than next ATD-X production series. Another features is the flight control system of the fly-by-optics, that makes data transfer more faster and immune to electromagnetic interference. For radar, which will be used is active electronically scanned array (AESA) called "Multifunction RF Sensor," which claimed to have a broad spectrum of intelligence, the ability of Electronic Counter Measures (ECM) and Electronic Support Measures (ESM) as the main function of communication. Further features that are called "Self-Repairing Flight Control Capability" which makes ATD-X is able to detect the failure or malfunction automatically. As for the characteristics of its own stealth features yet to be revealed. Indeed, the ATD-X planes are just the beginning, and as the name suggests "Technology Demonstrator," ATD-X was developed by TRDI as a technology demonstrator for developing the next fighter aircraft (sixth generation) are more sophisticated, namely 'F-3'. "The plan, Japan will create a Stealth aircraft and launched in 2030 and it depending on a variety of considerations that exist today because the budget is very big at all and whether the planes is made or not," said Kosuke Takahashi, Chief Editor of Huffington Japan in the TV Tokyo MX show. "The Japanese best stealth jets in the future is expected to be developed with a budget of around ¥40 billion. And about 220 companies (including Fuji Heavy Industries and Kawasaki Heavy Industries) have been joined for the project and 90% are Japanese companies," he said further.